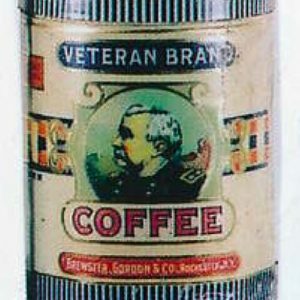 Early tin litho 1 lb. 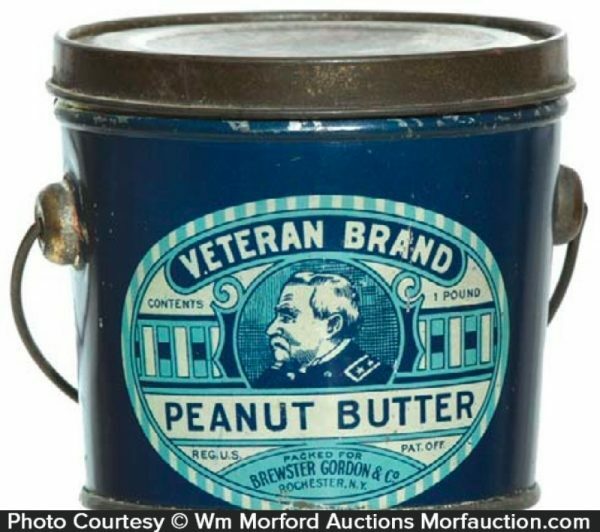 peanut butter pail from Brewster Gordon Co. Rochester, New York featuring nice image of Co.’s trademark Civil War officer (same image both sides). 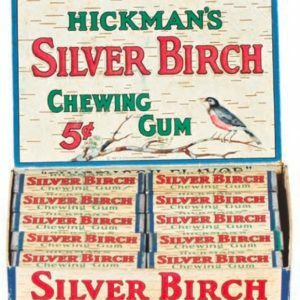 SKU: 67-63. Categories: Antique Tins, Peanut Butter. 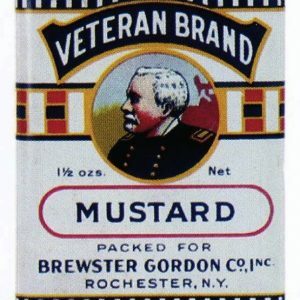 Company/Brand: Brewster Gordon & Co., Veteran Peanut Butter. 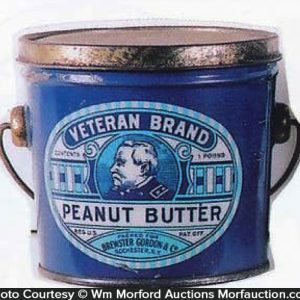 Veteran Peanut Butter Pail: Early tin litho 1 lb. 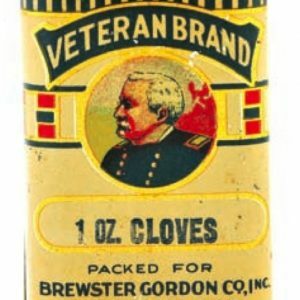 peanut butter pail from Brewster Gordon Co. Rochester, New York featuring nice image of Co.’s trademark Civil War officer (same image both sides). 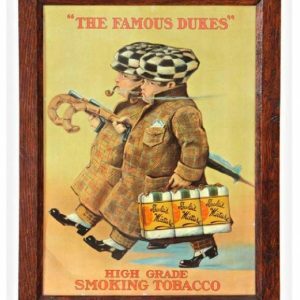 Clean and very attractive (C. 8+), w/ light wear along top edge (some wear and loss to gold flash finish of lid).